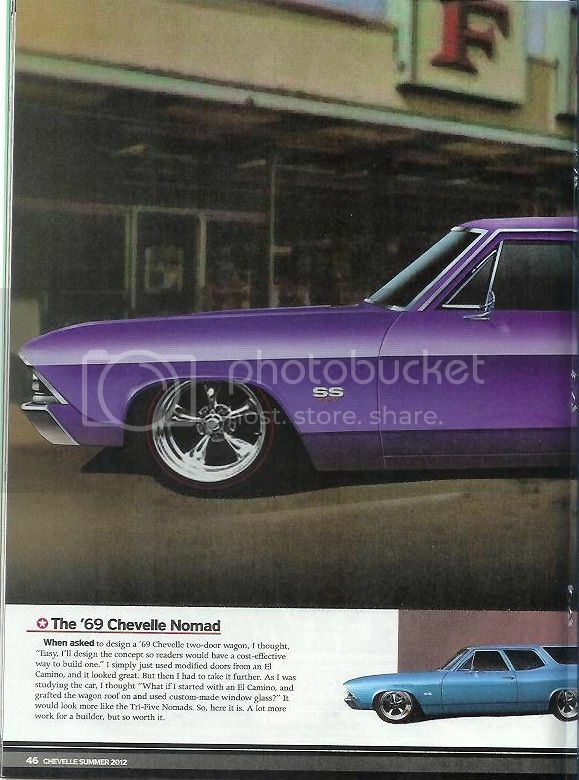 I founded this one on the Super Chevy Performance Series to a special issue devoted to the Chevelle. 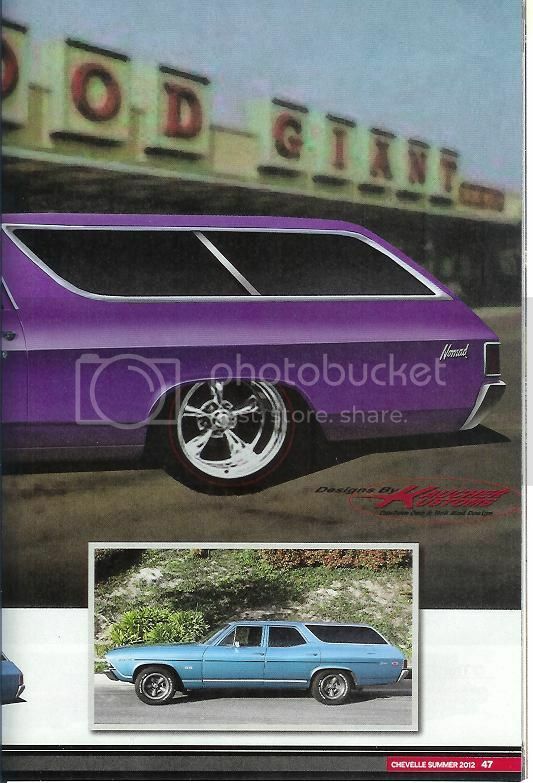 One designer Keith Kaucher of Kaucher Customs imagined a 1969 Nomad that should had been keeping the spirit of the 1955-57 Nomad and the 1964-65 2-door Chevelle wagon. 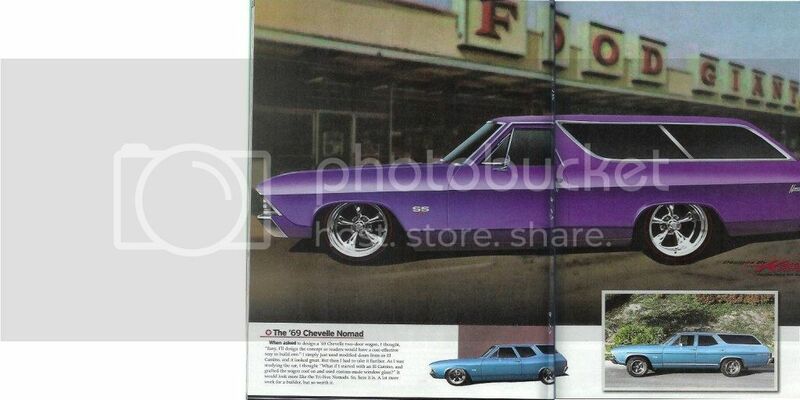 Instead of the basic and no-frills Chevelle wagon as we knew. Kevin imagined a 2-door Nomad based on the El Camino. I scanned the pictures, unfortunately I had to scan it in 2 parts. Last edited by Stéphane Dumas; 07-04-2012 at 10:47 AM.